2wayz 30FT 3-Pack of Silicone Self Fusing Repair Tape. 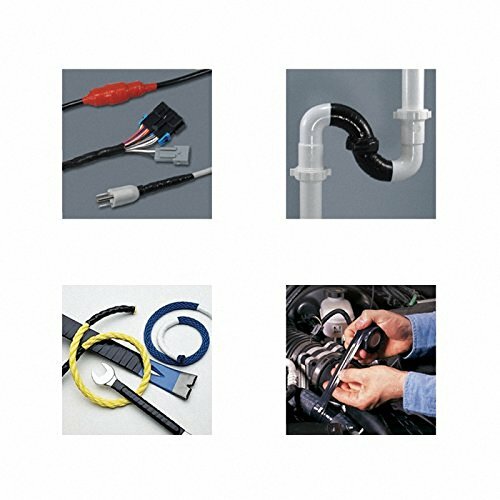 Waterproof Solution for Electrical Cords, Pipe Plumbing & Water Hose Leaks. Strech, Wrap & Seal. It's that Simple. Product prices and availability are accurate as of 2019-04-14 03:45:18 EDT and are subject to change. Any price and availability information displayed on http://www.amazon.com/ at the time of purchase will apply to the purchase of this product. DUCT TAPE ON STEROIDS, THIS WILL MAKE TWO OBJECTS INTO ONE! The tape is so strong, that once fused it will be virtually impossible to unwind, and you will only be able to cut with knife (so be warned:-)). The tape is also EXTREMELY STICKY TO ITSELF, ensuring an ever lasting relationship. Stickiness wearing down? Simply send us a message and WE WILL REPLACE YOUR PURCHASE! REPAIR, DON'T REPLACE: SAVE MONEY, SAVE TIME! 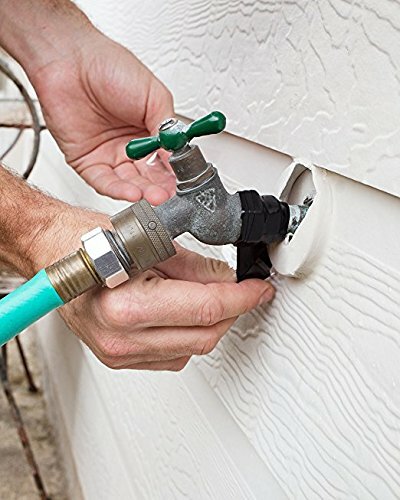 Torn hose? Broken pipe? Leaky Window? KEEP YOUR WALLET SHUT! 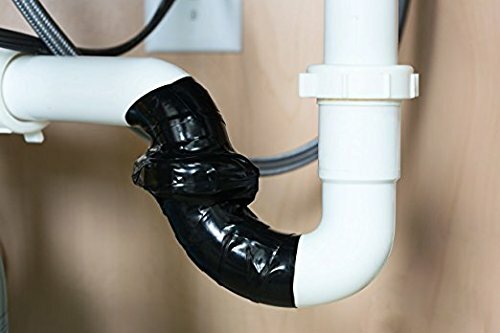 No need to call a handyman or plumber, this emergency tape will make what you want to fix as good as new! Simply apply the tape in a tightly, and cut the tape (don't tear it) for best results. CLEAN, LEAVES NO STICKY MESS. 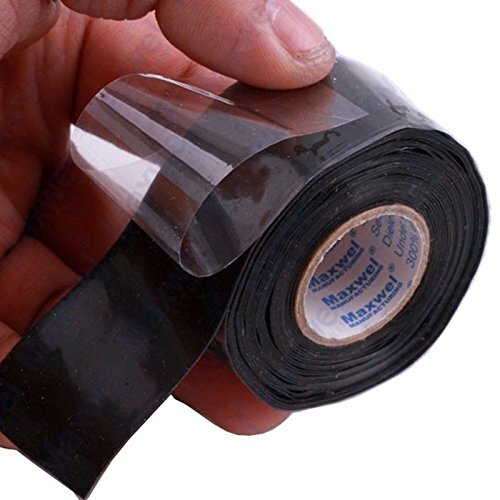 Unlike most other companies who sell similar tape to ours, we have manufactured this sealant tape to leave MINIMAL RESIDUE. No more wiping off leftover stickiness from your hands for the next few weeks. Need to remove the tape? No problem! Simply cut away the tape, and that's it! WATERPROOF, SNOWPROOF, WEATHERPROOF. 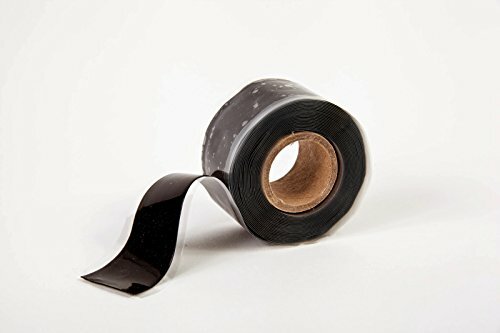 The super high quality tape creates a 100% SEALING EXTERIOR, and you can rest assured that whatever you are connecting will last through any sort of bad weather. Stop worrying, relax, we got you covered: FULL UNLIMITED LIFETIME WARRANTY! GET CREATIVE, WITH INNUMERABLE USES: VERY HANDY. 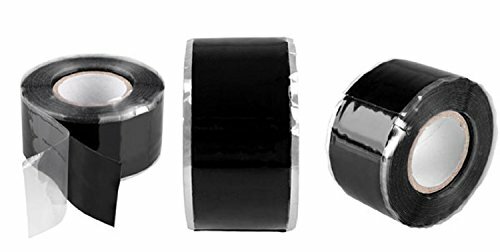 Keep a role of this miracle tape in your kitchen, stick a role in the glove compartment of your car, there is no limit what you can use this tape for! Be prepared, and don't allow anything to surprise you, keep a roll at arms length! Perfect for electricians, plumbers, and other general handyman. USE THE BIG ROLL FOR INTENSIVE REPAIRS, AND KEEP THE SMALL ROLL HANDY WHEN YOU NEED IT IN A PINCH!